The State Fair Of Texas is in full swing right now! It closes up tents on October 19th, so be sure to make your plans now. 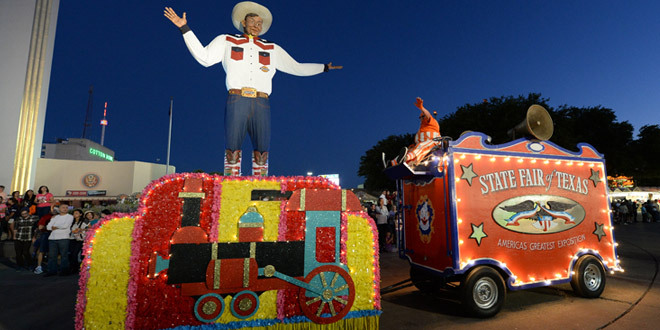 Your ticket to the State Fair of Texas includes hundreds of daily shows, a nightly parade, evening dancing water and laser show, 15 interactive and educational kid’s activities, the largest new car auto show in the Southwest and daily concerts on the Chevy Main Stage. So what are you waiting for? Buy your tickets today! Food and Ride Coupons: $.50 per coupon. Sold online in sheets of 20 coupons. Before you purchase your tickets for the fair be sure to check out this great post on Dallas Socials with tons of ways to save on admission.